John Leroy Wagner, age 97, of Marion, North Carolina passed away Saturday, February 9, 2019 at his home, surrounded by his loving family. A native of Baltimore, Maryland, John was born on January 29, 1922 to the late Henry and Edith Givens Wagner. 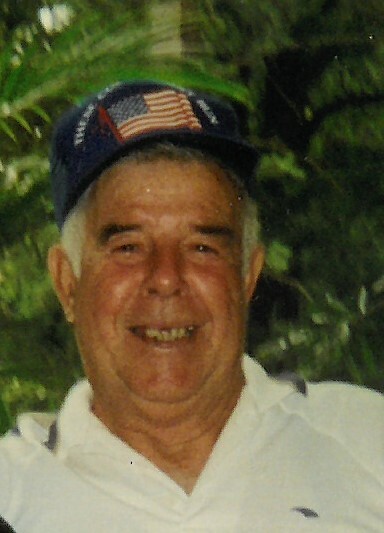 John was a World War II veteran in the 99th infantry as a Staff Sergeant. He fought in several battles including, Battle of the Bulge and Ryan River. He will be missed by all who knew him. He is survived by two children, Mark Wagner (Mary) and Sheila Marx; and one sister, Ruth Hood. Also surviving John are five grandchildren, Brandi Miller (Trevor), Crystal Wagner, Byron Wagner (Justine), Josh Boyer and Jake Boyer (Mary); nine great-grandchildren and one on the way. A service to celebrate John’s life will take place on Thursday, February 14, 2019 at 12:30 p.m. at Beam Funeral Service with Mr. Mark Wagner and Oscar Creech officiating. The family will receive friends from 11:30 a.m. until 12:30 p.m., one hour prior to the service at the funeral home. Interment with military honors by the United States Army will take place following the service at 2:00 p.m. at the Western Carolina Veterans State Cemetery.